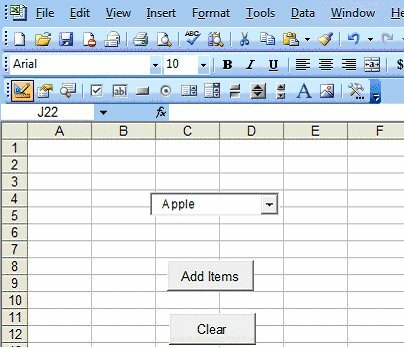 We have learned how to work with check boxes, option buttons and text boxes in Excel VBA in the previous lesson. 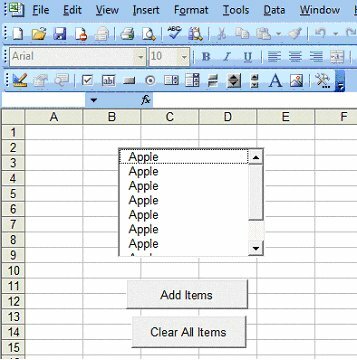 We shall continue to learn how to manipulate other Excel VBA controls in this lesson. The function of the ListBox is to present a list of items where the user can click and select the items from the list. To add items to the list, we can use the AddItem method. The function of the ComboBox is also to present a list of items where the user can click and select the items from the list. However, the user needs to click on the small arrowhead on the right of the combo box to see the items which are presented in a drop-down list. In order to add items to the list, you can also use the AddItem method. The usage involving ComboBox is as shown in Example 19.2 and the output is as shown in Figure 19.2. Toggle button lets the user switches from one action to another alternatively. When the Toggle button is being depressed, the value is true and when it is not depressed, the value is false. By using the If and Else code structure, we can thus switch from one activity to another by pressing the toggle button repeatedly. In this example, the user can toggle between apple and orange as well as font colors.